Below are some of our most commonly asked questions. If you still require assistance please don’t hesitate to contact us. What should I put the hair sample in? Please place your hair sample in a small paper envelope. My baby doesn't have much hair - what should I do? We require as close to 1/2 teaspoon of hair as possible, and will let you know if you have not provided enough hair for the testing procedure. Is colour-treated hair OK to use? 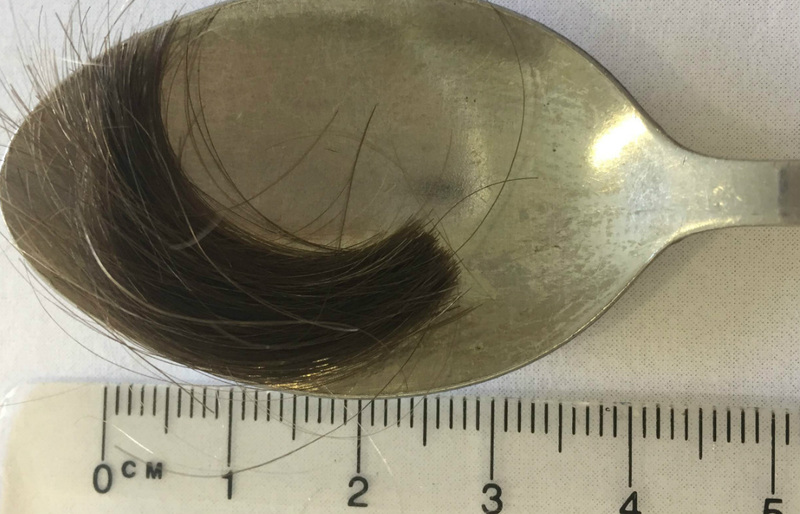 How old can the hair sample be? In order to obtain the most accurate results, hair samples should not be older than 4 weeks old. How much hair do I need to send? We require a minimum of 1/2 teaspoon of hair, cut as close to the scalp as possible. The closer to the scalp the more accurate the results will be. See more about taking hair samples here. Can I use the same hair sample on multiple tests? Yes you can use the same sample for all tests, however you can not use coloured hair for the Optimum Nutrition Test. If you wish to do the Optimum Nutrition Test along with another test we would require a second sample of hair provided from another part of the body to the equivalent of 1/2 teaspoon. Alternatively we can use unpolished nail clippings or a mouth swab. Can I use hair from a recent haircut? Yes you can use hair from a recent haircut as long as the hair is from close to the scalp and is the equivalent of half a teaspoon of hair. Coloured hair may be used for all tests except for the Optimum Nutrition Test. What if I have no hair on my head? Any other body hair to the equivalent of 1/2 teaspoon. If you have no body hair then we also accept unpolished nail clippings or a buccal swab. How long should I eliminate the sensitive foods for and then how do I re-introduce them? Initially, eliminating all the sensitive foods is best. Try and give it three months, to allow the gut to heal and the immune response to settle down. That is also a good time to take any suggested supplements, to help strengthen the gut. Once you feel your body is well balanced, try eating just one of the foods at a time, starting with one which received a low score from your test results. Only eat it once every four days. If that worked, add another of the lower score foods, but not on the same day, also every four days, and so on. Try to eliminate the foods with higher scores, the higher the score, the more and longer you should eliminate the food. We can always re-test after six months. Remember that there are good substitutes for lots of things (kumera for potato, avocado oil for butter, ….). What if I have avoided some foods for a period of time? Will these still show up on the results? The Food and Environmental Sensitivity Assessment will detect reactivity to all compounds that you have been exposed to for a six month period prior to the test. The more recent the exposure and the higher the volume of exposure, the higher the resulting reactivity score will be. Those compounds that you are sensitive to, but have been avoiding for some time, may not show up as strongly reactive in the test. Please note all dietary and environmental avoidances on your test request form.